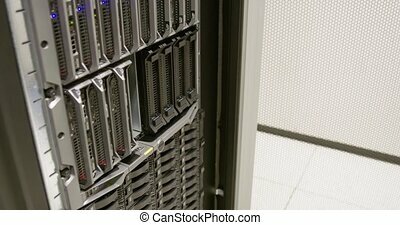 It consultant removes blade server in datacenter. 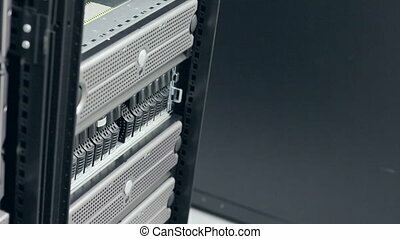 It engineer or consultant working with a blade server in data rack. 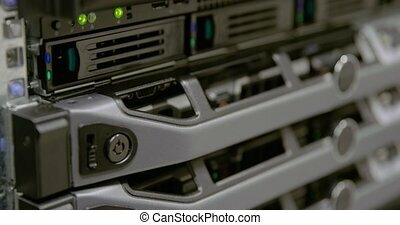 shot in enterprise datacenter. 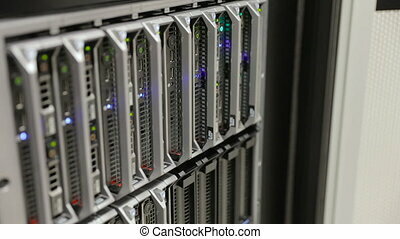 It engineer or consultant working with installation of a hard drive in storage area network SAN. 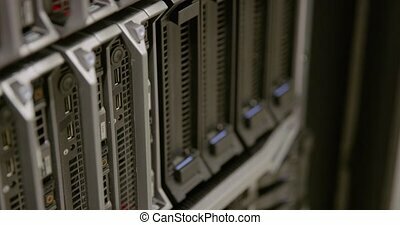 Shot in datacenter. 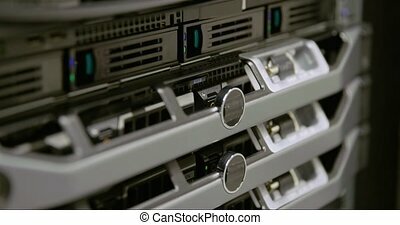 It engineer or technician maintain storage in data center. 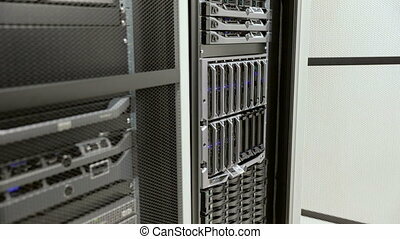 This enclosures is a SAN and servers. 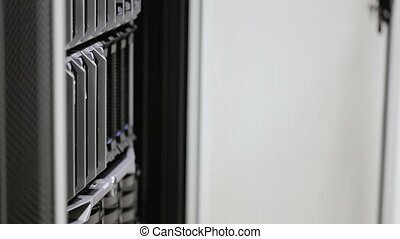 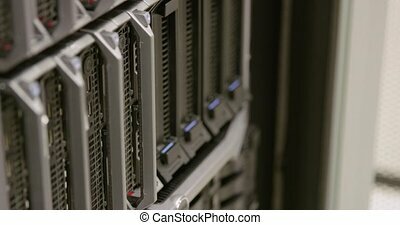 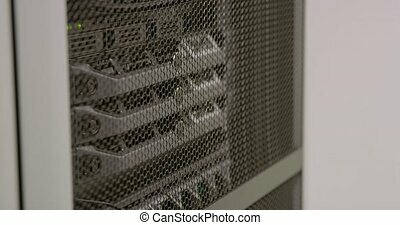 IT engineer or consultant remove and install blade server hard drive in data rack. 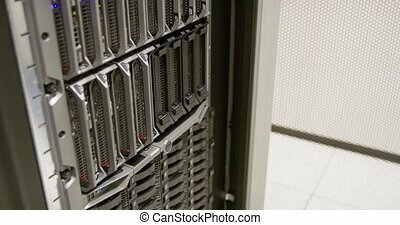 Working in enterprise datacenter. 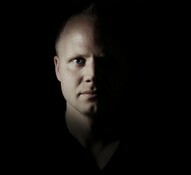 Camera on glidetrack. 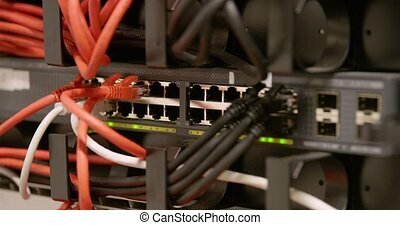 IT engineer or technician connect a cat 5 network cable in network panel. 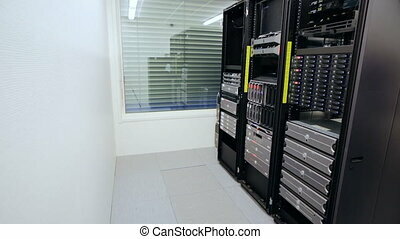 Working in enterprise datacenter. 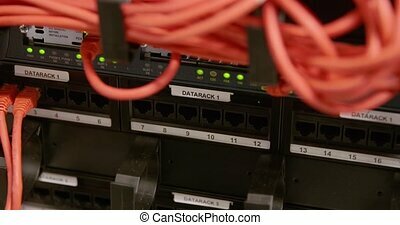 IT engineer or technician connect a cat 5 network cable into nettwork switch or router. 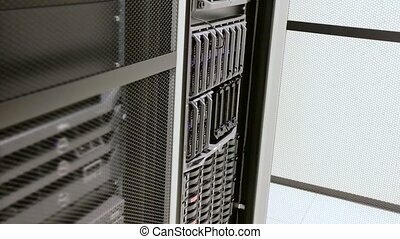 Working in enterprise datacenter.